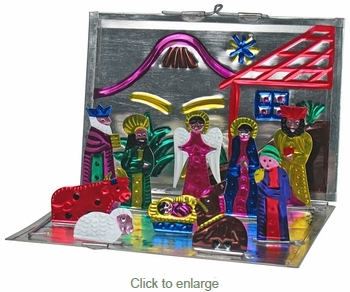 This quaint nativity is an example of Mexican folk art at its finest. Hand cut and hand painted by talented tinsmiths in Mexico, it is small enough to fit on any table and folds for easy storage. As with all of our hand crafted folk art items, expect some variation in size and color with these individually created nativities.